"Unbekannter Brahms" ("Unknown Brahms") is an artistic research project. 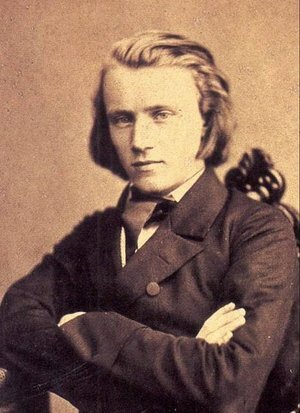 Its aim is to represent new views on the performing tradition of the music of Johannes Brahms. The project is to be carried out 2012-2015. The project is generously supported by the Finnish Wihuri Foundation. The "Unbekannter Brahms" project concentrates on the less-performed works of Brahms or Brahms-transcriptions of other composers. In addition, I will write some new transcriptions on Brahms?s Lieder. Many of the works, especially Brahms?s own transcriptions of his own works, have seldom or never been recorded on CD. The project includes publications on the works on CD, concert performances, essays on the performed pieces, public presentations and a book/articles about the performing traditions of Brahms piano variations. My wonderful chamber music partners in this project will be Annemarie Åström (violin) and Antti Siirala (piano). The co-operation partner of the project is the well-known Austrian Brahms Museum of Mürzzuschlag. The museum has lots of original Brahms material which is hardly available anywhere else. The museum director Ronald Fuchs has kindly given Terhi Dostal a permission to research and use the museum archives in her work. There are, for instance, scores of dozens of Brahms?s own transcriptions which have remained practically unknown up to the present.